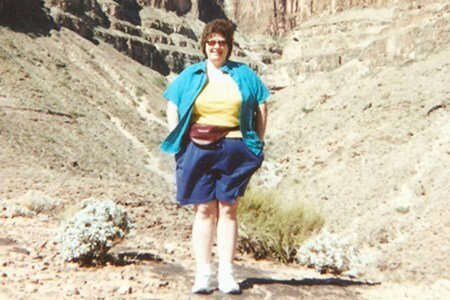 Above is a photo of Penny in 2005 at the Grand Canyon. She looks and feels a lot different now because after many failed attempts at losing weight, she made some changes in 2006. She started going to the gym and tried over 400 different food items (including lots of fruits and vegetables) to learn about healthier choices. Now, she no longer needs blood pressure medication and she belongs to a running club. Here is a photo of her now and she was kind enough to answer a few questions about her success. Snack Girl: What would you say is the biggest factor in your weight loss success? Penny: The biggest factor? I really believe it was a combination of factors, not just one. Of course, exercising on a regular basis is important, which I have done pretty much for almost seven years now. Eating healthier and continuing to explore new healthier food choices (my diet has gotten healthier and healthier over the past few years as I have gained more and more knowledge about new products and nutrition). I also believe age is a factor - age begets patience. I am much more patient than I was when I was younger. And perspective as the fourth thing-I now KNOW this has to be a lifelong change in lifestyle, not just a "shortlived" diet to lose some pounds (which I did do over and over and over when I was younger). Snack Girl: When you didn't lose weight for a few weeks - how did you keep motivated? Penny : It was frustrating when I didn't lose weight for a while. In fact, there has been one year where I only lost 9 pounds. But you cannot look at weight loss and wanting to be at a healthy weight when you are heavy that way. You have to look at this as a lifelong journey...your changes are not temporary, they are permanent and the weight will come off eventually if you continue to eat healthy (healthy choices, healthy amount for your body) and exercise. Snack Girl: What foods and habits were the most difficult for you to give up and change? I have now gone vegetarian. It was not difficult for me to give up red meat several years ago once I had learned about all the bad health problems that can stem from eating it. Then I decided to give up all meat. I just eat fish, seafood, eggs, cheese...no other meats...getting protein from other sources. That was a little difficult in the beginning, but like I've said...I have tried and added so MANY healthier alternatives to my diet I adjusted pretty well. I am still trying new foods and looking for healthier alternatives...that will probably never end. Snack Girl: What advice would you give to your "201 pound heavier" self? Penny: Change how you are looking at weight loss and eating healthy. You are looking at it wrong. Don't look at is as what do I have to give up? You can make those less healthy choices your "treats" until you find new healthier "treats" to replace them...and then you get healthier and healthier foods in your diet and you won't "miss" your favorites or you will have healthier choices that satisfy you. NEVER stop looking for alternatives. Snack Girl: What is your favorite snack? Penny: That is a tough one. I eat as a "grazer"...meaning I have small meals and snacks throughout the day. I eat 6 or 7 times a day (breaking down my daily calories)...it helps keep my blood sugar more stable and helps control hunger. I have many favorite snacks...Chobani yogurt, nuts-cashews, walnuts, hazelnuts, almonds, most all of them, made from scratch protein bars, Kashi cereal, Kashi bars, fruit and fruit salad...as I've tried lots and lots of fruits-whipping up fruit salad with kiwi, mangos, strawberries today....my favorite current "healthy" junk food? Popcorn (popped fresh, NOT microwaved...it is so much better)...with REAL butter, frozen yogurt with fruit or homemade toppings, roasted kale chips done at home! They are awesome! Thanks so much for sharing, Penny! I am sure many will be inspired by your story. Penny's response on how to stay motivated when weight loss "appears" to plateau was eye opening for me! Thanks for sharing your story and perspective!!! I think that her comments about the changes being a lifelong change in lifestyle are so important. So many people look for a quick fix and aren't willing to make healthy eating & living a lifestyle. Congratulations Penny! Congratulations from a classmate at RIHS - what a fun surprise to see you here at Snack-Girl today! I love getting inspired by these stories. However, I am well into my 60's and need to lose at least 25 pounds - any advice for us mature gals fighting hormones and age? OMG!!!! I am so excited when I hear success stories like these. I myself have lost 100 pounds and LOVE my new life now. Congratulations! The most important thing is " Never give up". You will get there. Everything is possible. WOW love those stories!!! lifestyle is all!!! Keep the good work!! To Rannie who asked about mature gals fighting hormones and age.....I am 59 and lost over 30 pounds in the past year. The only changes I made was to walk every day possible for 30 minutes (nothing fast, just comfortable pace). The other change was to add more fruits and veggies and cut out junk food. what a transformation! i have lost 10 lbs in the past 6 months after making a few lifestyle changes (mostly in my diet). it may not sound like much, but i honestly didn't think i had much to lose! i am back to my high school weight now...lighter than i was pre-pregnancy. Very impressive Ruth - I'd be walking down the road with a big sign if I lost that weight!!! I think walking is a big factor. Have just moved this weekend and aim to start walking around my new neighbourhood. Thanks for your advice! Can we have Penny's recipe for Kale Chips? everyone mentioned eating healthier, so I wanted to mention a couple of books I've read that are very informative and inspiring. They are: The Science of Skinny by Dee McCaffrey - she lost 100 lbs. by eating healthier- & Salt Sugar Fat How the Food Giants Hooked Us by Michael Moss. Both are excellant reading. I think one of the main points is patience. Not looking for a number, but for a healthier lifestyle. That is my main focus as I go about making lifelong changes. I have found in the past two years that adding good food naturally crowds out the bad stuff and that makes the changes so much simpler. I don't tell myself no to stuff, I just save them to the end of a meal when I'm fuller and won't eat more than a taste. It's exciting to see how this is making changes. Congrats Penny! Your story sounds very similar to mine. I lost 143 pounds and have been on maintenance for 2 years. I also became a runner. My diet has also gotten healthier over time and now I prefer fruits and veggies. I rarely eat meat and I'm sure one day soon I will make the switch to 100% vegetarian. Congrats on all of your hard work and determination. It's not easy but it's worth it! 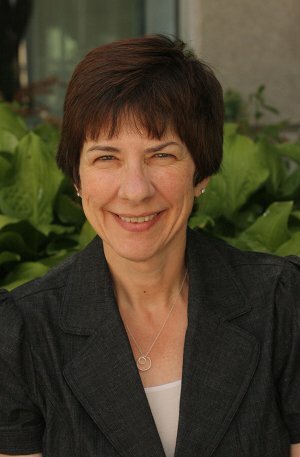 I, too, am inspired by Penny's amazing accomplishment, and as a fishetarian (as in someone who eats as a vegetarian when home but eats fish when out sometimes or when with my kosher in-laws) I'm really relieved to hear of a successful weight loss program that doesn't just focus on huge slabs of animal protein and salad to make it work. Looking for a good recipe for protein bars. Store ones expensive and often just glorified candy bars. Would Penny share her recipe? Really inspiring! What an eye opener for her to say she only lost 9 pounds in one year, but she kept pushing. Wow! Really puts things in perspective. you go girl. You rock, Penny! Thanks for sharing from the heart. You are truly an inspiration. Pink power to you!